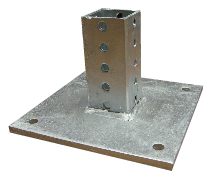 Post Flanges are Not Available On-Line. Please Send a Request for Quotation with Your Delivery Address and Company Information Including Quantity. You will receive a Formal Quotation with Delivery Pricing Included.